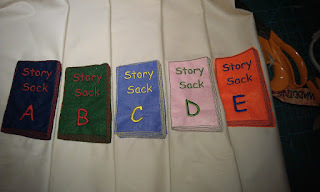 Last week the Literacy (English) Co-Ordinator (senior teacher) spoke to me about Story Sacks - a sack that contains a number of items that are used as prompts for making up stories. She's looked into buying some but instead emailed me . 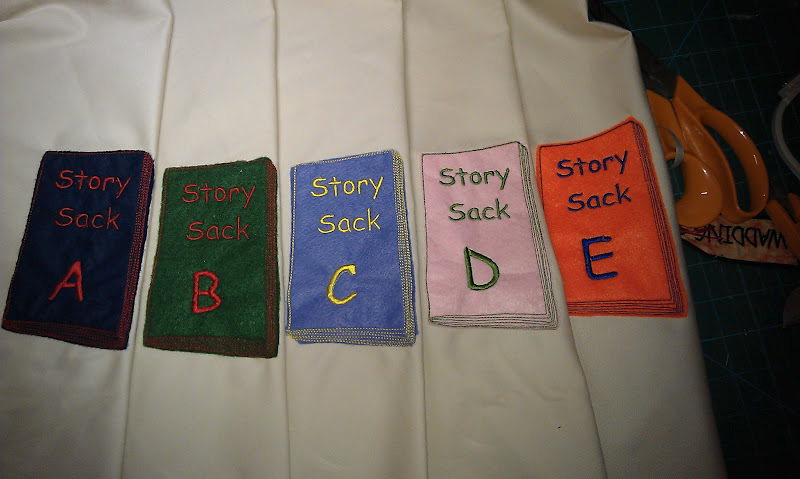 . ."You can buy story sacks which are basically like your year group medical/ inhaler bags but much less pretty. 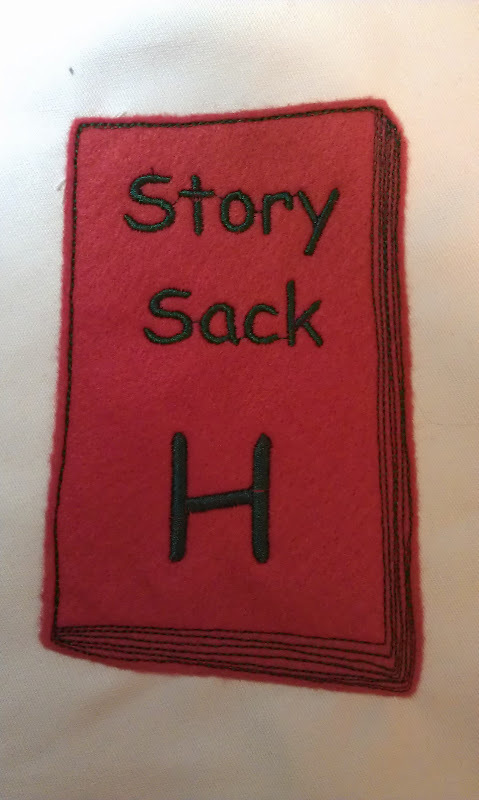 The idea is you fill the bag with random items and pull them out to make up a random story. Of course you could use any bag but how much more exciting would it be to have one of your specials." 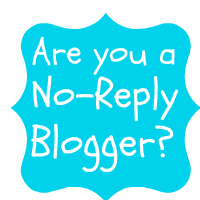 Oh, what a cool idea, I can only imagine the fab stories that will come out of them! What a lovely idea, and I'm sure the children will love the bright colours! 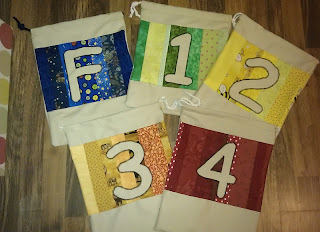 I love the idea of story bags and these are great! Excellent, beautifully made. 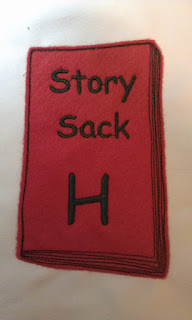 Story bags are a great idea. 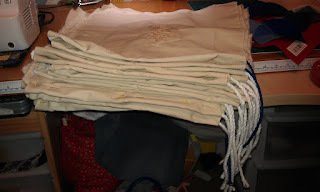 I'm making some myself. Beautifully made. I am making some up myself at the moment, finding and making the contents and accompanying materials.